Winter is coming and we know we need to prepare for our pets. Cold temperatures and all the winter time accompaniments offer unique challenges to all living things trying to survive. Indoor pet dogs have needs akin to ours. These pets need (and probably get) regular health care. Winter is a rough time for older pets, underweight pets and those dealing with osteoarthritis. Your veterinary team should be included in “winterizing” your dog and making sure any special individual needs are accounted for. Make your appointment now before the days get shorter and the holidays fill your schedule. We talk a lot about not leaving pets and children in hot cars in summer, but no one mentions that leaving an unattended animal in a cold car is not ideal either. Temperatures can drop very low inside a car and it is never a good idea to leave an animal alone inside a parked vehicle. Dogs that stay indoors with their people are used to the controlled climate that dwellings provide and these pets can benefit from outerwear, such as sweater, jackets and booties when outside. 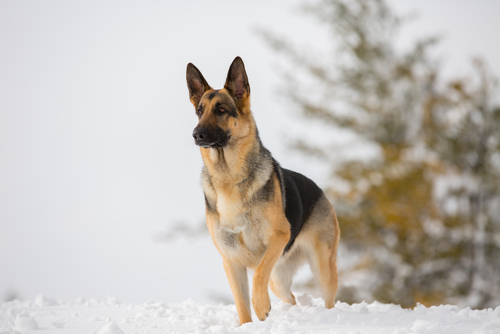 Short coated pets especially lack natural insulation from the cold. If you are cold, chances are your indoor dog is also. Start shopping for your pets outerwear now so she can become accustomed to it before it is so critical to her comfort. Pet owners should choose de-icers and antifreeze that are pet friendly. De-icing products can serve as irritants to the pads of pets’ feet. If winter boots are not an option for your pet, be sure to wipe his/her feet with a damp cloth when returning inside from winter walks. Regular antifreeze is extremely toxic to animals, so be sure that your dog is never unattended outside where he could access other people’s antifreeze and choose nontoxic options for your own use. If you wait until a winter storm to buy these items, stores get sold out and you may not have pet friendly options. Winter time snows can be disorienting to lost pets and all pets should be identified. I like microchips because they cannot be lost, but at the very least a collar and ID tag is especially important in winter in case of accidental loss. Many pet stores and vet hospitals offer discounted microchipping as winter approaches, so start watching for these great deals now. It is fall now and the air is just starting to become crisp, but now is the time to start planning for how to help your dog happily weather the cold days ahead. For more info, look me up on Facebook, Twitter or Google+!